Yuko Shimizu, selected as one of “100 Japanese People The World Respects” by Newsweek Japan in 2009, is a Japanese illustrator living in New York. She was born in Tokyo and graduated as valedictorian from Waseda University, one of Japan’s most prestigious universities. 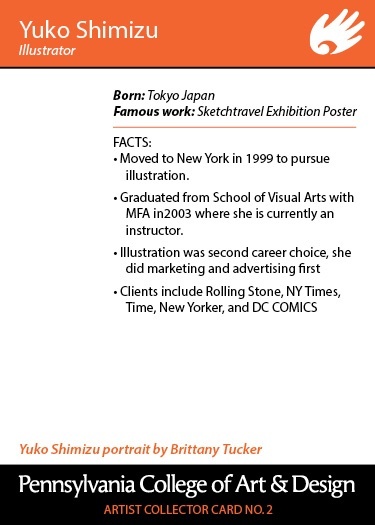 After college, she worked in advertising for one of Japan’s largest trading companies. 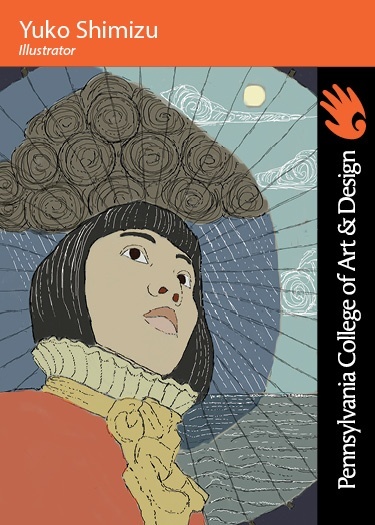 After 11 years, she resigned from her position and went to New York City to pursue her childhood passion of Art, receiving a MFA from the school of Visual Arts in 2003. Her early jobs included work for Village Voice, the New York Times, The New Yorker and Financial Times. Currently many well-known publications, publishing houses, and brands are her regular clients. Shimizu has done work for notable charitable concerns, including collaborating to design T-Shirts for The Gap‘s AIDS charity line Product RED. and a 11-panel mural for The Robin Hood Foundations and Pentagram’s charitable Library Initiative. In 2013, she illustrated Barbed Wire Baseball written by Marissa Moss, the story of professional ballplayer Kenichi Zenimura, who brought the pastime of baseball to the WWII Japanese Internment Camps in the United States. She is known by comic book fans as the illustrator for cover art for the ongoing series The Unwritten. Shumizu has received numerous Gold and Silver awards from the Society of Illustrators and multiple other awards.